Colonization began on St. Kitts in 1623, with the arrival of Sir Thomas Warner, his family, and fourteen others at what is now Sandy Point and their settlement at Old Road Bay. The English were joined in 1625 by French settlers led by Pierre Belain d'Esnambue, who had sought refuge on the island after a losing fight with a Spanish galleon. The two groups wiped out the Carib Indians in a massacre at Bloody Point in 1626, weathered a Spanish attack in 1629, and then turned their attentions to colonizing the islands around them. From St. Kitts, the British settled Nevis, Antigua, Barbuda, Tortuga, and Montserrat, while the French claimed Martinique and Guadeloupe. Intermittent warfare between the French and British became the norm for the next centuries. France captured the island again in 1706 and lost it once again after that. But the French returned to lay siege to the British fort on Brimstone Hill in 1782. The British eventually fell after a heroic defense. 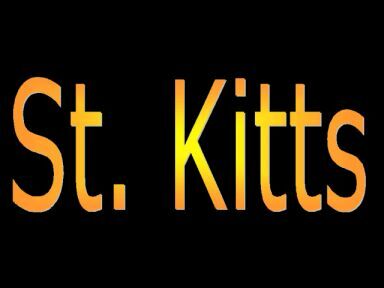 St. Kitts was returned permanently to the British in 1783 after the Treaty of Versailles. Even Admiral Nelson took a deep liking in our people. He married one of us! Follow this link for a wonderful description of Nelson's life: "Admiral Nelson"